I’ve had so much fun drawing pictures for these ones…..Mugs, beer steins, bottles and fancy stainless steel travel mugs, all with sneaky wee chameleons hunting beasties on the other side of them. These new products are available in James Gordon’s 1896 gallery in Boat of Garten. Categories: Illustration, Products | Tags: 1896 Gallery, beer steins, chameleons, mugs, water bottles | Permalink. from a mug with a big picture of a fish on the front! These mugs will be avalable to purchase from the 1896 Gallery in Boat of Garten along with a few of the original paintings that the imagery is taken from. 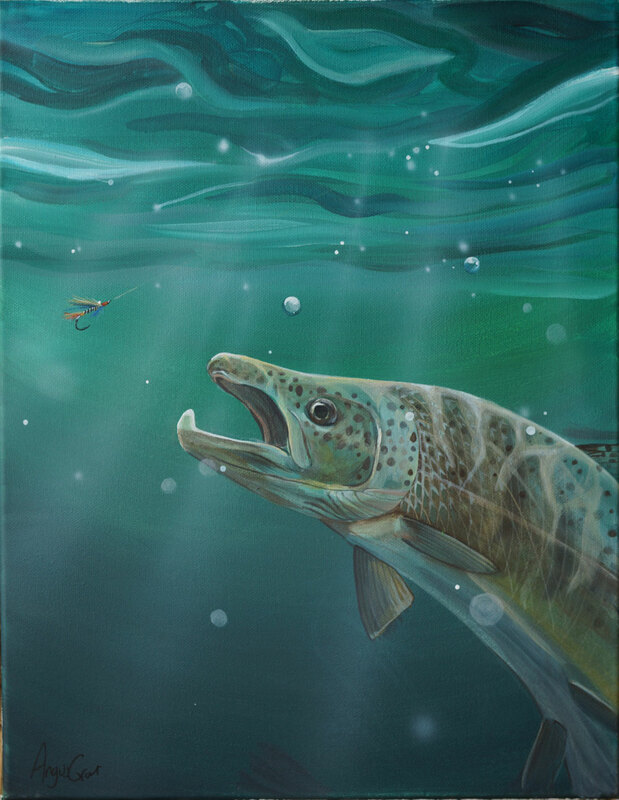 Categories: Illustration, Products | Tags: 1896 Gallery, fish, mugs | Permalink. Last wee picture to go in James’ gallery. 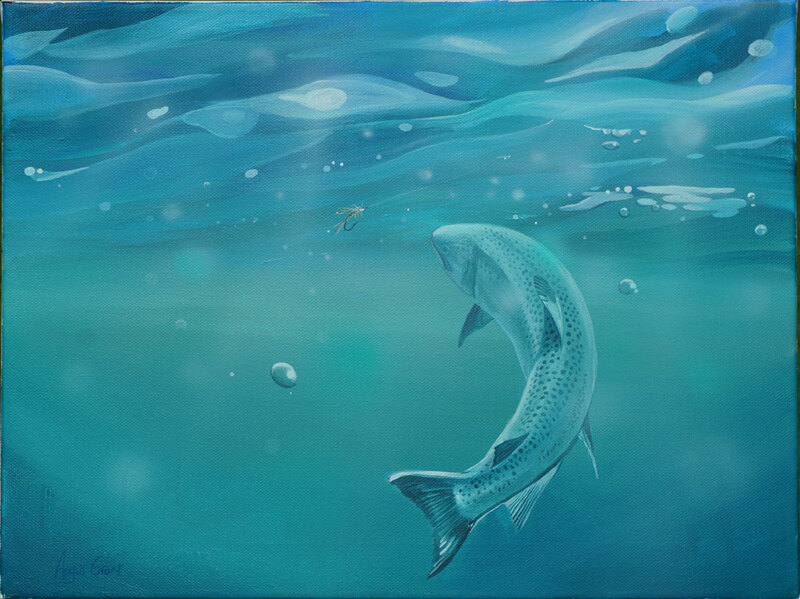 Categories: Painting | Tags: 1896 Gallery, fish, trout, underwater | Permalink. 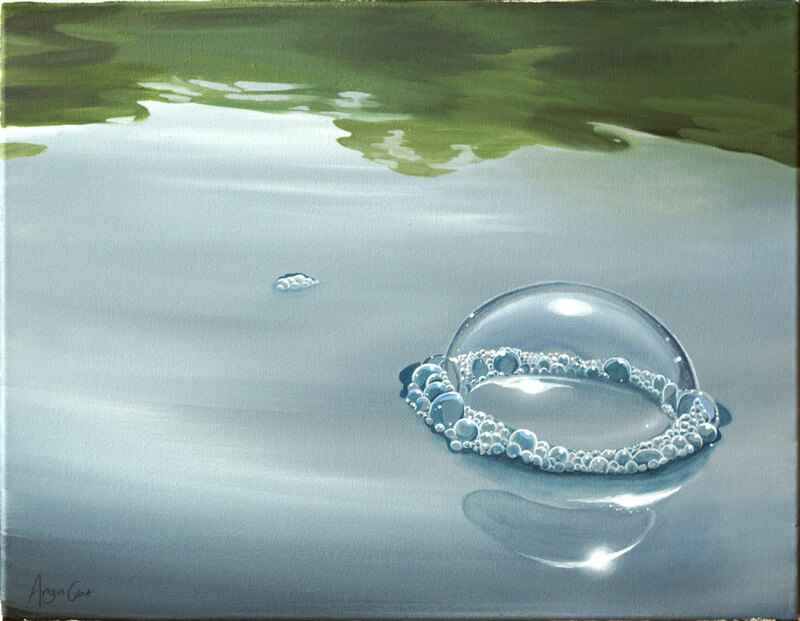 Some new paintings of bubbles to go in the 1896 gallery on Friday. 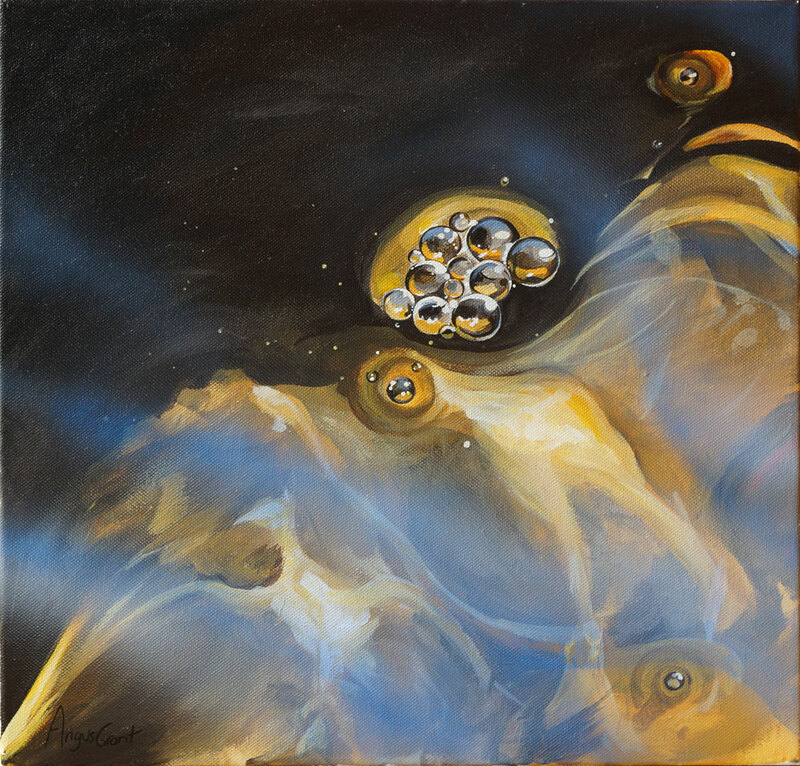 I love the abstract quality of bubbles and hearing the different things that people see within the pictures; rings, polished stones, eyes, frogspawn, jellyfish, solar systems…….. Categories: Exhibitions, Painting | Tags: 1896 Gallery, bubbles | Permalink.